Edinson Volquez is being shut down for 4-6 weeks. He will not throw during that timeframe before being re-evaluated. 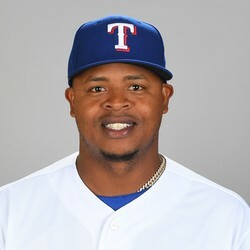 Volquez has not even undergone an MRI on his sprained right elbow because he is not close to throwing. It seems unlikely that he'll be able to return to the rotation this season but, to the extent you are in a deep AL-only league and have open IL spots, you can keep him rostered for now.